This panorama of Lucas Oil Stadium in Indianapolis is where East met West in the battle for the eighth annual championship game. Playing to a crowd of 66,375 fans, the winner of the Big Ten Conference East Division, the Ohio State® Buckeyes®, competed against the West Division Champion, the Northwestern Wildcats®. 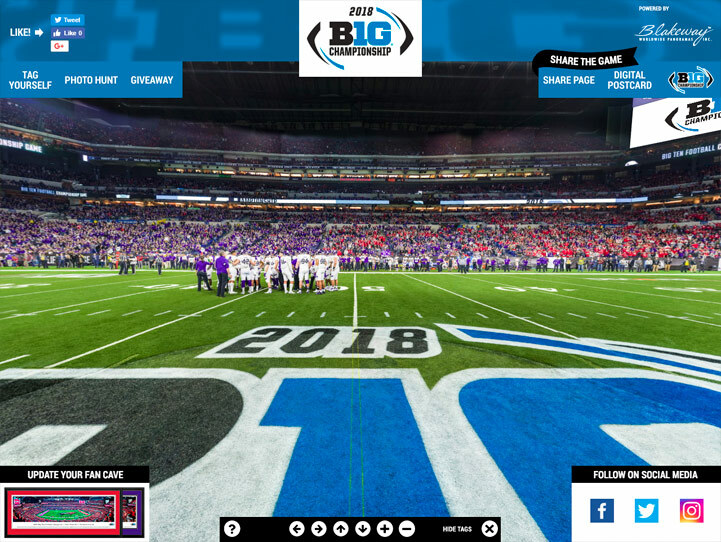 The teams vied for the 2018 Big Ten Football title and the Amos Alonzo Stagg Championship Trophy. The winner also earned the chance to play in one of the six bowls that comprise the College Football Playoff™, including the Rose Bowl Game®.